One thing that most South Africans can agree upon – no matter their background – is that there are two things that can make any warm blooded Saffa’s heart skip a beat; a beautiful view, and a braai. These firm South African favourites come together in perfect harmony at one of Camps Bay’s most stunning hidden gems, Camps Bay Retreat Luxury Boutique Hotel. Nestled deep in the Glen valley of one of Cape Town’s most exquisite suburbs lies Camps Bay Retreat – a property so full of magic and mysticism you’d be forgiven for thinking you’ve fallen down the rabbit hole and found yourself in Wonderland. 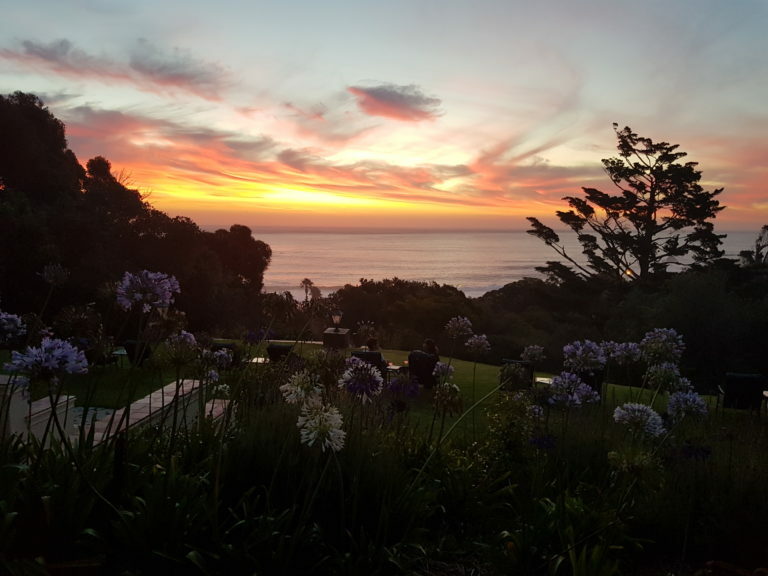 Even Lewis Carol himself would’ve have gasped at the views stemming from the Camps Bay Retreat. It’s a chilly autumn evening and Cape Town is showing off it’s natural beauty as only the Mother City knows how to. 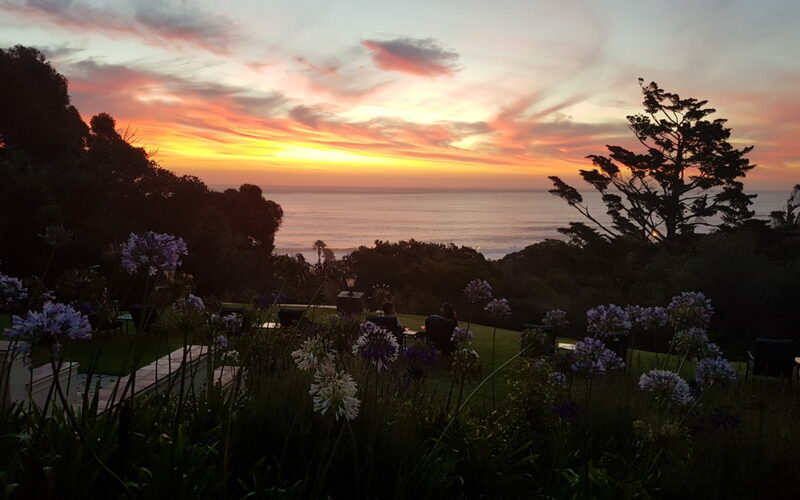 With excitement, we enter the gorgeous gates of the property, ready to have all our senses tantalized – by the view, the atmosphere and, of course the braai. 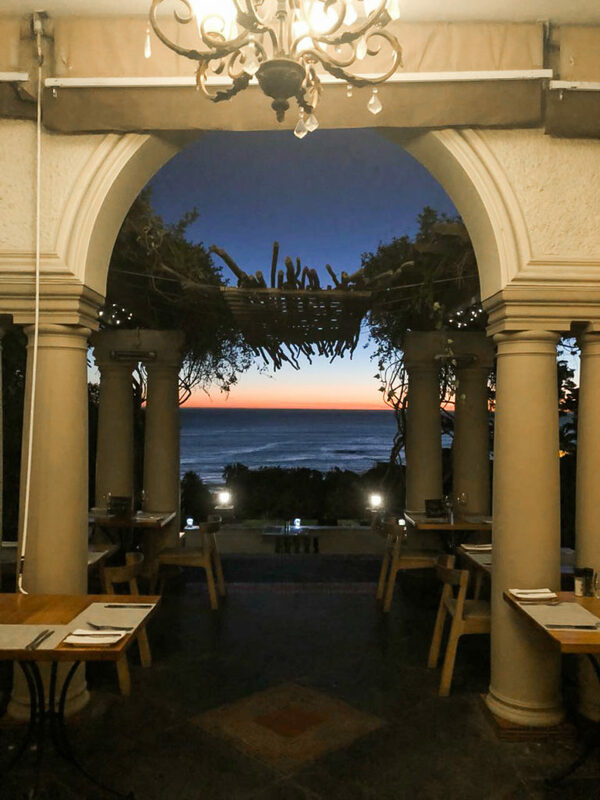 The Von Kamptz restaurant at the Camps Bay Retreat has a special barbecue every Wednesday and Saturday evening (weather permitting), and it is exactly for this reason that we have travelled to what feels like Narnia. Upon arrival, we are greeted by the breathtaking view. And look, when I say breathtaking, I mean staring-and-gawking for a good five minutes. After we’ve composed ourselves (and taken approximately 534 photos of the sunset) we’re shown to our table outside on the terrace; beautifully laid and (thankfully) under a heating light. Our waiter is wonderfully friendly and his warm smile makes us feel even more at home. 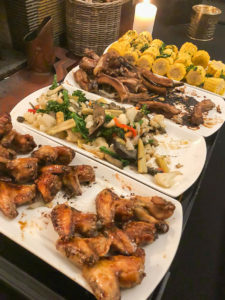 He quickly explains how the buffet-style menu for the evening works, and that we must feel free to roam the grounds – cameras at the ready – and call on him for whatever reason. On the grass to our right, the chef and two other staff members are busy setting up the fire. 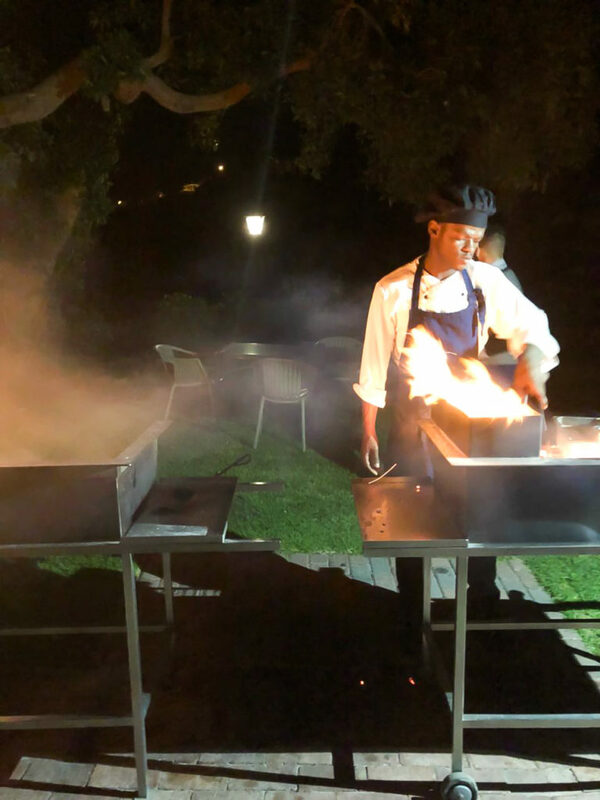 A traditional barrel barbecue that draws you in, not just by the warmth emitting from the fire, but by the familiar feeling of happiness that most South Africans would associate with a braai. After we’ve ordered our wine for the evening (from the very impressive wine list), we venture over to the fire, where we’re greeted by the hotel’s two resident rescue dogs, Bangers and Mash. As if we needed anything more to make us feel at home, Bangers and Mash gleefully let us pet them and coo over them, as though they were our own. Have we found the Yellow Brick Road? As we sit back, sipping on a satisfying Sauvignon Blanc, our waiter brings our starter; a traditional, South African mini potjie stuffed with Springbok sausage in an equally traditional tomato smoor. Being a pescatarian, I can only delight in the inviting smells coming from the little black pot. However, my partner assures me that it does, in fact, taste as incredible as it smells. Sigh. After our starters are cleared and our wine is topped up, our waiter asks for our orders for the mains. The Camps Bay Retreat has four wonderful proteins on offer for the mains that is sure to satisfy any palette. Between the marinated chicken wings, sticky pork ribs, Chalmar beef fillet and Kingklip fillet, we opt for the latter two. 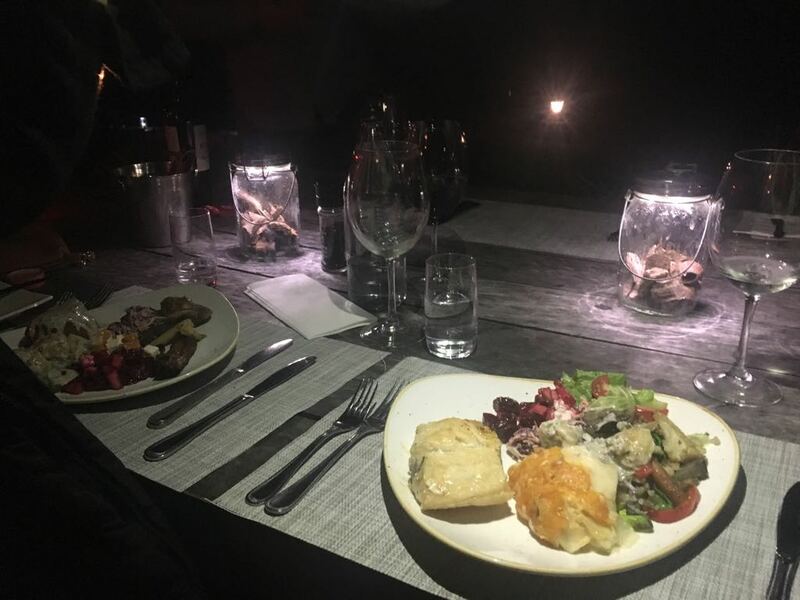 After asking us exactly how we would like our proteins to be cooked, our waiter escorts us to the cosy dining area of the hotel, where a stunning buffet of salads, vegetable bakes and other dishes have been laid out. The dining room of the hotel is small, but oh-so inviting. What makes it even more unique, is the glass window between the dining room and the kitchen, which allows you to see right through to the heart of the kitchen and the passionate chefs working hard to satisfy every culinary desire. 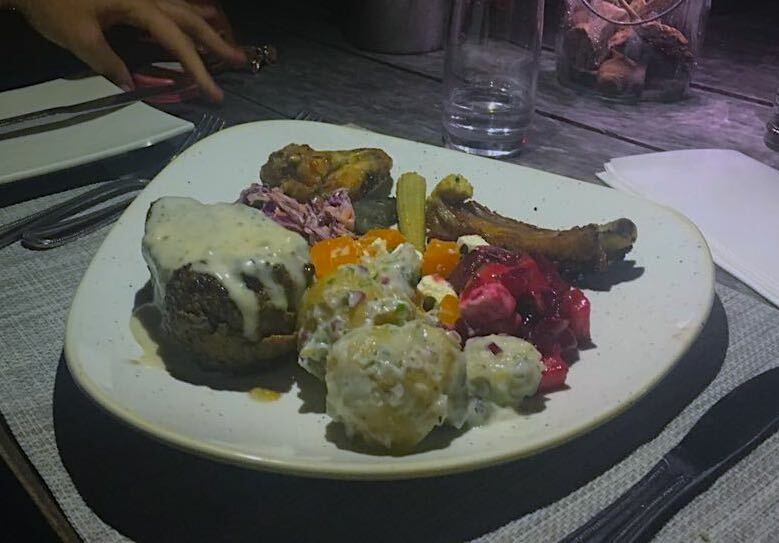 We fill our plates with almost every side dish on offer, foregoing any and all ideas of diets – just because it all looks way too good. 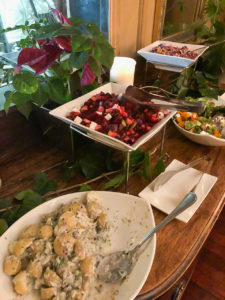 We find space to fill our plates with beetroot and feta salad, coleslaw with raisins, broccoli and cauliflower bake with a lovely Asian twist, and traditional South African favourites such as baby potato salad and mielies (because what is a braai without a mielie?). As we indulge in this magical meal in front of us, it’s hard to hide the visible satisfaction on our faces. My Kingklip is cooked to perfection, and perfectly accompanied by the beetroot and feta salad and ice cold Sauvignon Blanc. 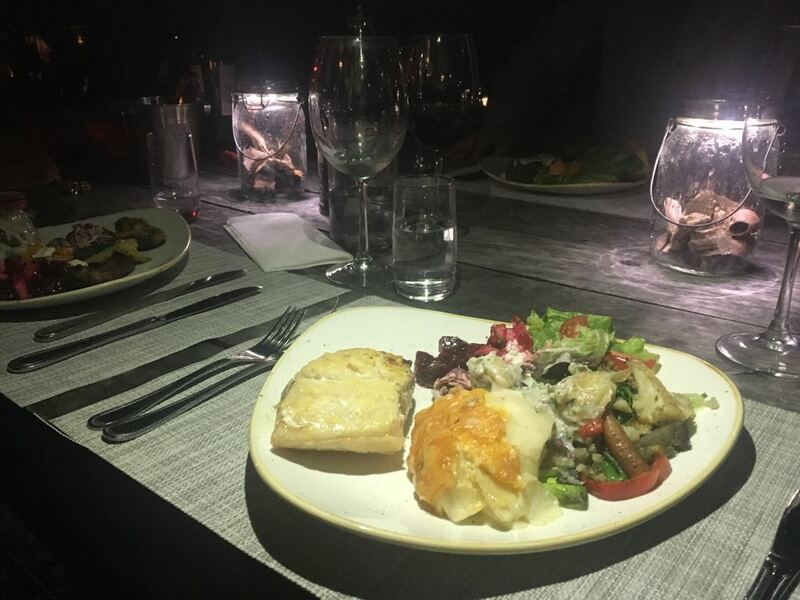 However, it’s when I glance over to the perfectly cooked Chalmar fillet on my partner’s plate and see the gleeful look on their face, that I seriously reconsider my pescetarianism – the second time I’ve questioned my diet in one evening! We decide to go in for the kill (we’ve made it this far, haven’t we?) 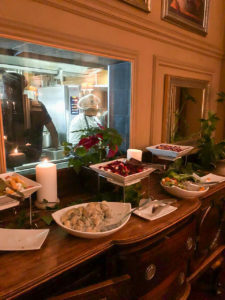 and head back to the delightful dining room to grab some of the sweet treats on offer. 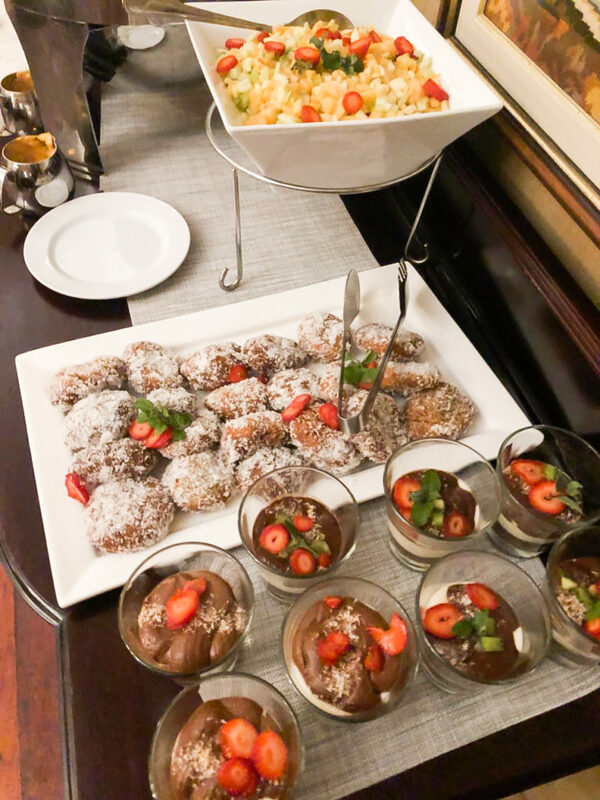 Individual malva puddings, fruit salad, traditional coconut koeksisters and the most indulgent chocolate mousse I’ve ever had; the dessert buffet was better than a kerk bazaar in Klerksdorp. 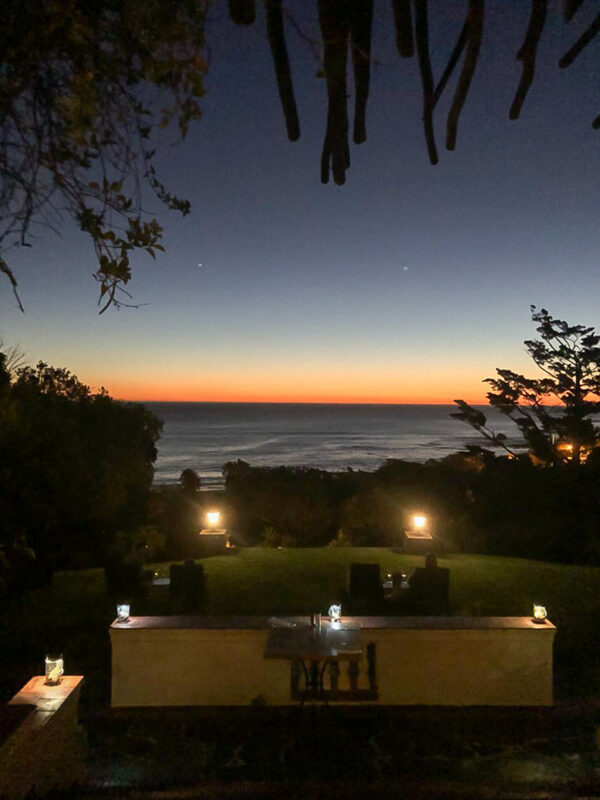 As the waiter clears our dessert plates and we take the last sips of wine – bellies and hearts full – we both decide that we simply have to return to the Camps Bay Retreat as soon as possible. If not for the lovely, proudly South African barbecue feast we just had, but for another chance to experience and explore this little piece of Utopia.